Yesterday morning, November 2nd. 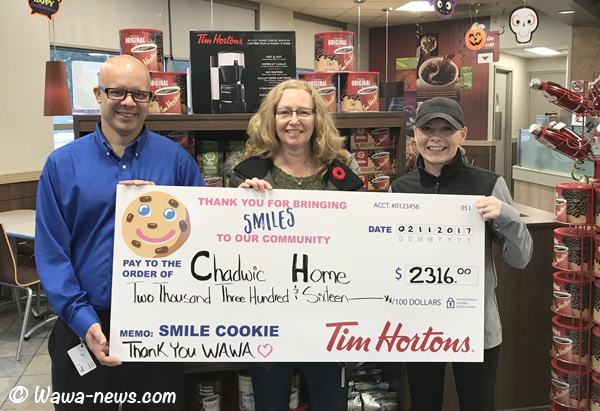 Tracey and Mark Toffner (Tim Hortons Wawa) presented Chadwic Home Executive Director Paula Valois with the proceeds of this year’s Smile Cookie Campaign. Every year, Tim Hortons patrons purchase their Smile Cookies for only $1 from September 11th-17th. Their full $1 goes to support local charities. This year, the receipient was Chadwic Home. 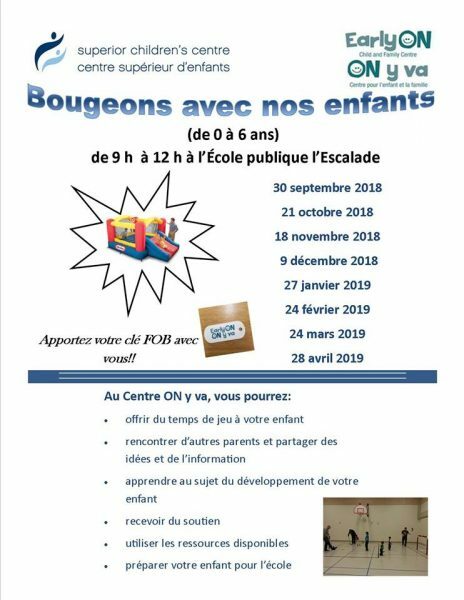 Chadwic ( Chapleau, Hornepayne, Algoma District Women In Crisis) has been providing services in a variety of forms: transitional housing, and a variety of support groups and outreach programs such as Girl Talk. Paula explained that these monies will go to support programs that are not part of their core funding. When she received the ‘big check’ from the Toffners, Paula said, “It’s really nice of you to pick Chadwic Home as the recipient – best fundraiser ever! Thank you so much.” Some of the Chadwic Home employees volunteered to help decorate the 2,316 and probably a few extra along the way… They did such a good job that they have been invited to assist with the Annual Camp Day!